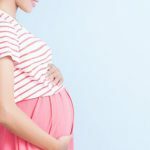 38 weeks pregnant: what can I expect? Not long to go now, your baby can be born any day now. It’s a good idea to stock up your freezer with meals you are going to need for the first few weeks after your delivery. You may be too tired after the delivery to rustle up three meals everyday. Take out food is not a good idea because it lacks all the essential nutrients you need to recuperate after delivery. If you catch a glimpse of your profile in a mirror the first thing you will notice is your big belly. At week 38 your belly will be the center of your attention, it will have taken over everything else in your life. 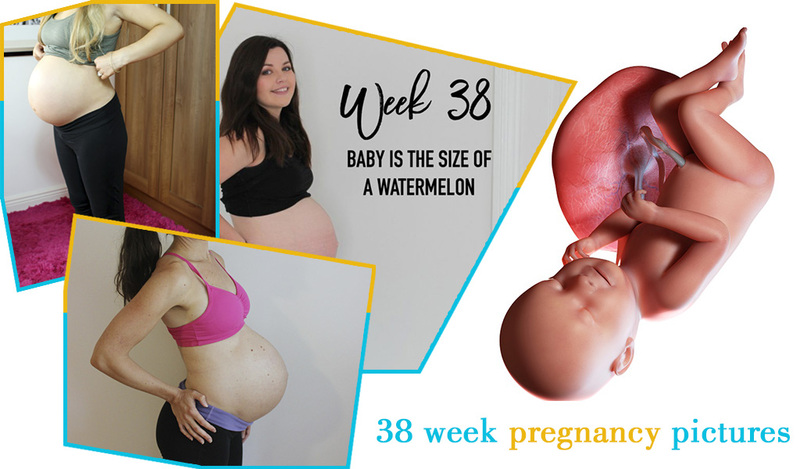 At week 38 you will feel like you are bursting out of your clothes, rather than investing in some bigger clothes, check if you can borrow some maternity clothes from friends and relatives. If sleeping was difficult in the past few weeks, it will only have worsened by week 38. Continue sleeping on your left side as this is the best position for you and the baby. Use pillows to support your back and knees when you sleep. Your immune system is lowered during pregnancy, to keep your unborn baby safe stay away from large crowds and people suffering from runny noses and cold. Wash your hands regularly especially after you have been to the bathroom. Cankles or swollen ankles will make your legs feel like tree trunks this week. Fluid retention is the main culprit in giving you cankles. To avoid cankles use supportive stocking, take a five minute walk around your house and don’t sit for long hours. As weird as it sounds drinking water will prevent fluid retention. If you have had children before your breasts will be leaking more colostrum this week, for breastfeeding purposes. Use nursing pads within your bra to keep you comfortable and dry. Don’t overwork in the last few weeks of your pregnancy. Yoga, reading a book, listening to your favorite music will all help you relax before your delivery. 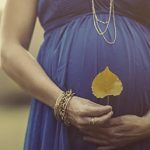 Guilt is something you will feel throughout your pregnancy. If you have older children you might feel guilty of neglecting them. 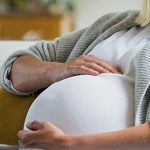 When your baby is born it will need more attention from you and due to this fact you feel you might be disrupting the lives of your older children. Negative feelings like guilt don’t achieve anything, and it’s important for you to relax. If you have older children its natural for mums to use hand me downs for the new born. To make your new baby feel special you could buy some new toys and clothes. New born babies roughly weigh around 3.4 kilograms and your baby at week 38 will weigh an impressive 3 kilograms. In the last few weeks of pregnancy your baby will be gaining weight rapidly and not so much in height. This week your baby’s height will be around 53 centimeters which is not much of a change. Your baby’s movements will slow down now, because there is hardly any space left in your womb for the baby to move. However if you feel there is something not quite right with the baby’s movements call your doctor. If you have chosen to be a private patient at the hospital you will have some extra benefits of choosing a specialist doctor and getting a private room. Speak to your friends, family or relatives to find out which doctor has more experience and is preferable. Plan your trip to the hospital when the time comes by doing a practice drive with your partner. It’s easy to panic when you are not familiar with the route if you are driving to the hospital for the first time. Organize a support network of your family and friends that you can turn to if you need help for a few days to take care of your infant. A baby’s car seat is important to protect your infant from injuries in the event of an accident. Make sure the car seat is fitted properly and passes the Australian Safety Standards.